Containment Protocols: RPC-092 is to be stored in a containment cell measuring 15m by 15m, at Site-002. Personnel are not to enter RPC-092's cell under any circumstances. CSD personnel and/or mechanical equipment is to be used for any and all interactions. Once per year, as many as 10 CSDs scheduled for extreme disciplinary action are to be introduced to RPC-092, and their remains sold to fund the Authority. Under no circumstances should any of these subjects be allowed to make direct contact with RPC-092. Testing of RPC-092 is only to be permitted pending approval from the Site Director, and transport of the object is to be handled using mechanical devices, with all personnel keeping at least 15m away from the object as it is transported to an appropriate testing chamber. 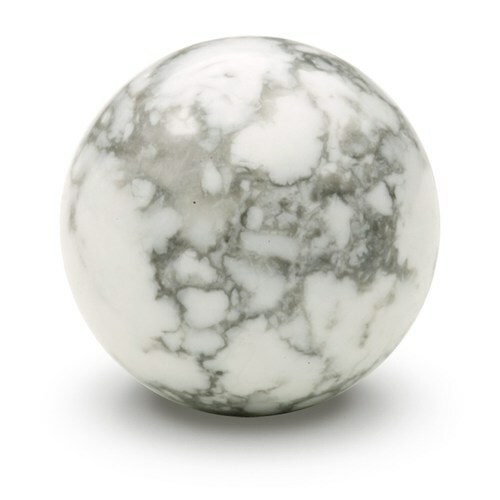 Description: RPC-092 is a marble sphere, measuring approximately 20 centimeters in diameter. The stone emanates an anomalous field, which affects all biological material in a radius of 10 meters. Within this field, living creatures are rapidly petrified, their bodies converted into a variety of stone-based materials.1 The time for full petrification varies, with larger masses taking longer, and humans are noted to require approximately fifteen seconds of exposure. This process is known to be extremely painful, and works from the exterior inward, meaning the subject will typically live, and even be capable of motion, until their vital organs are converted. The only known method of stopping and reverting this conversion is to take hold of RPC-092, which immediately undoes any petrification damage done to the holder. At this point, the subject holding RPC-092 is capable of taking control of any petrified creatures around themselves, and the radius of the anomaly expands to 100 meters. Petrified creatures, now known as RPC-092-1, vary in physical properties and anomalous abilities.2 Subjects holding RPC-092 have absolute authority over RPC-092-1, even though instances often display identical personalities and memories to their post-conversion selves. If the holder of RPC-092 wishes, he can "kill" these personalities, reducing instances of RPC-092-1 to mindless entities, but this is considered unnecessary, as orders given by the holder will be followed without question. Instances of RPC-092-1 can be ordered to move beyond the radius of RPC-092, and function as normal. RPC-092 was discovered on 05/03/██, after the Authority received tips regarding an anomalous influx of large, cut gemstones to the market. Tracking the source of these gems and other small stone products led to the discovery of the object, held by a jeweler in the city of [REDACTED]. In the ensuing recovery attempt, ██ MST members were converted, and subsequently ordered to attack others attempting recovery. The actions of MST-115 Sniper ██████ ████████ led to the death of the jeweler, and the eventual recovery of the object using remote methods, leading to it's current containment. Pure Marble Most common result, occurring 33% of the time. 50% Marble, 50% Black Onyx Typically results in swirling patterns of black and white across the body. Pure Diamond Occurs in roughly 10% of cases, and is to be used for both industrial and funding purposes. Pure Concrete Does not come in enough quantities to be useful for building material. 75% Basalt, 25% Red Onyx Typically comes in streaked patterns. 40% Violet Tanzanite, 40% Blue Tanzanite, 20% Burgundy Tanzanite Care should be taken when harvesting to ensure the three colors of gem are not mixed. Pure Quartz, Color Varies In the case of Red Quartz occurring, harvesters are to wear thermal protection until instance is reduced to crystals no larger than five carats. Pure Rainbow Hematite Pieces of RPC-092-1 with this composition are to be kept for use in the repair of facilities constructed from concrete. Primarily Jadeite Jade, with sapphires in the eyes, hands, and groin. Has occurred only twice. Due to the rarity of Jadeite, flooding the market with this material is not advised. Procedure: CSD subject will attempt to enter RPC-092's field, and take hold of the object. Results: Subject reported extreme agony while moving towards RPC-092, body displayed signs of becoming an instance of RPC-092-1, made from marble. Subject was able to grasp the object after 20 seconds, at which point all signs of petrification vanished. Range of effect increased to approximately 100 meters radius. One guard unintentionally petrified. Subject ordered to relinquish RPC-092, subject did not comply, subject threatened with termination, subject complied and was converted into an instance of RPC-092-1, made of marble. Procedure: CSD-5492 will be instructed to take hold of RPC-092, leaving CSD-6123 to be petrified into an instance of RPC-092-1. Subject will be instructed to command instance through a variety of simple tasks, walking, running, jumping, etc. Results: Subjects enter the field of RPC-092, and quickly begin screaming in pain, within 19 seconds, CSD-5492 takes hold of the object, ceasing and reversing the petrification process. CSD-6123 is petrified, material consisting of Marble and Black Onyx (This was confirmed post-test by a harvesting crew.) and apparently still conscious. CSD-6123 displayed autonomy, and vocalized many expletives at staff for not warning it of the nature of the test. CSD-5492 ordered to command CSD-6123 to perform basic actions. At this point it was determined that instances of RPC-092-1 demonstrate supernatural abilities beyond that of being animated stone, as during the jump test, the Black Onyx portions of CSD-6123 shifted to the shoulder blades, and sprouted large wings, allowing CSD-6123 to fly, despite a weight of 5022 kilograms. Test is consistent with recovery reports, where several instances of RPC-092-1 were capable of flight. CSD-6123 ordered to return to ground, and CSD-5492 ordered to place RPC-092 back in the box it was stored in. Subjects comply, CSD-5492 petrified into diamond. CSD-6123's wings merge back into main body, and both are recovered by harvester crews without incident. Procedure: One CSD subject is to take hold of RPC-092, and under instruction, command the nine instances of RPC-092-1 that will be created, each instance will go through the same tests as the prior experiment. Results: All instances of RPC-092-1 that are made up of the same material share the same anomalous abilities, as demonstrated by the nine instances that were generated during testing. Created during this test were three instances of pure marble, one of the same marble and black onyx blend, one diamond, one Tanzanite blend, one of pure Red Quartz, one of pure White Quartz, and one of Rainbow Hematite. The Red Quartz instance of RPC-092-1 is noted to generate intense heat waves, reaching temperatures of 250°C, even after being rendered inactive. Heat generating properties vanished when instance was reduced to chunks of five carats or less. In a similar vein, the Rainbow Hematite instance proved capable of restoring stone, demonstrated when a fight broke out, snapping off the left arm of one of the marble instances. Upon the arm being put back in place, the cracks were sealed. Testing with a broken piece of non-anomalous concrete demonstrated that placing the hematite in contact with stone that has been damaged will repair it, seemingly with no cost. This effect applies until the instance is broken down below 5 carats. All other instances did not display anomalous effects while RPC-092 was not held. Pure Marble instances show no additional abilities, Marble-Black Onyx blends demonstrate flight, Diamond instances appear capable of generating ultra-violet light, Tanzanite is capable of telekinetic ability, and White Quartz instances are capable of teleportation. Whoever holds RPC-092 is aware of all RPC-092-1 innate abilities present within it's field. CSDs attempted a containment breech, and were consequently terminated by gunfire targeting the subject holding RPC-092. Procedure: One CSD subject will be instructed to hold the orb, all others will be turned into instances of RPC-092-1. Subjects will engage in a mock battle within the testing chamber.